1996 Apotheosis of George Washington - First edition in the collection of ten ornaments that commemorates Capitol art in the series, "America's Christmas Ornaments." This ornament features the magnificent fresco by Constantino Brumidi that adorns the ceiling of the Rotunda. 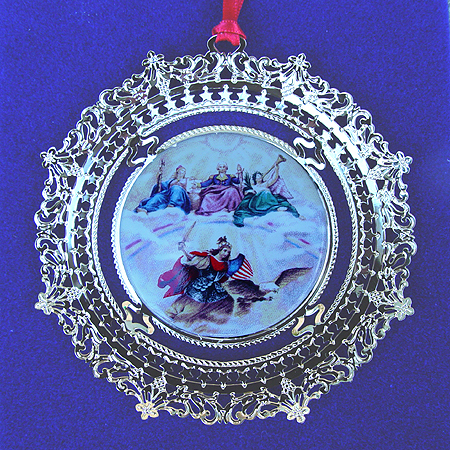 The ornament has a porcelain center set on a 24kt plated mount. Gift boxed with the history of this artistic masterpiece.